Friendly small groups on walks led by experienced guides through stunning scenery; all-inclusive and bespoke holidays in the Alpujarra, Sierra Nevada National Park in Southern Spain and trekking Morocco's mountains, desert and verdant Atlantic coast. ✩ Great company, great vegetarian food, and the great outdoors! 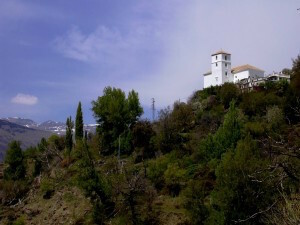 ✩ Explore la Alpujarra, Sierra Nevada, Southern Spain. Bootlace is a seasonal family business established in 1995 with mountain experience from Wales to the Himalaya and from the Atlas and Anti Atlas to our beloved Sierra Nevada. Originally from the UK, we have lived in Spain since the 1980s. With our intimate local knowledge we offer scheduled holidays in small, friendly groups and tailor-made breaks and excursions - an ideal way to get to know this region, on the southern slopes of the impressive Sierra Nevada mountain range. For our Moroccan holidays we also use experienced local Moroccan guides. Walking in mountains is a refreshing and renewing experience, which carries us into the heart of nature. As we travel these paths of the Sierra Nevada, which were also walked by the Berber inhabitants over a thousand years ago, we are brought a vivid sense of their way of life which is etched on the landscape and architecture. 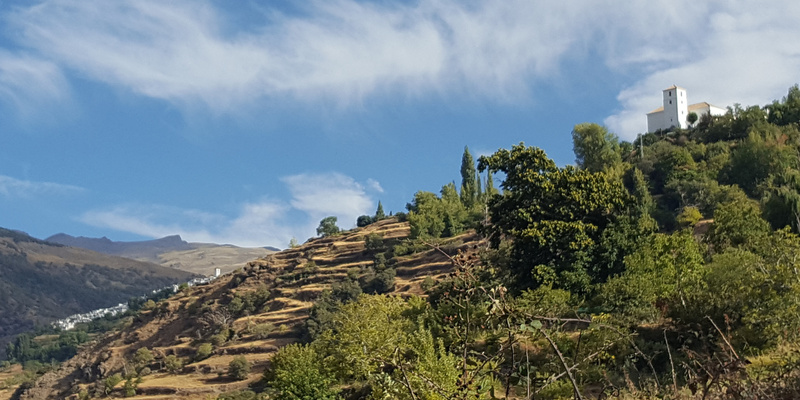 The mountains and foothills of the Alpujarra region of Andalucia, southern Spain, are steeped in history and gifted with a rare geography - from sub-tropical through to alpine. The area was recognised by UNESCO as a Biosphere Reserve in 1986 and is one of Spain's most loved and visited National Parks. Thanks for a brilliant and well organised holiday. — F.E. Self-guided walking 2015.